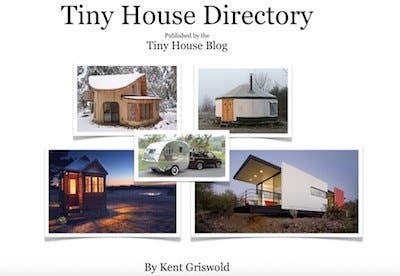 A few years ago, almost no one had even heard of a tiny house. But now? 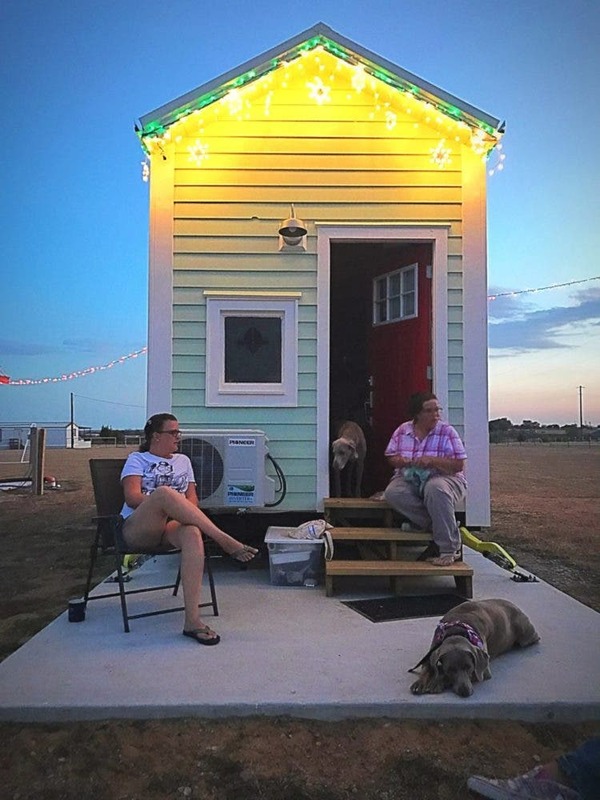 Across the nation, more than a dozen cities are become officially tiny-home friendly and 50-plus communities of tiny homes have cropped up—everything from intimate backyard co-ops and tiny house/RV parks to upcoming full-on urban developments. 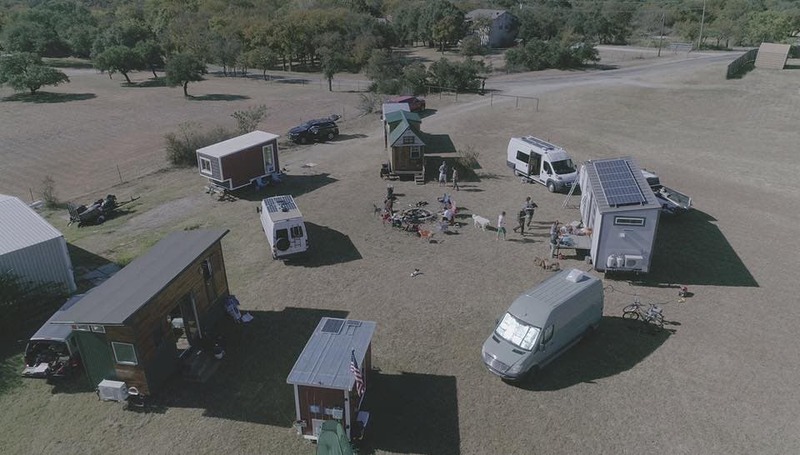 Recently, we were cooking a big pot of chili at a temporary tiny-home community we’d formed in North Texas with five other tiny houses and converted vans, when we discovered we were missing peppers, onions—and cornbread! No problem. 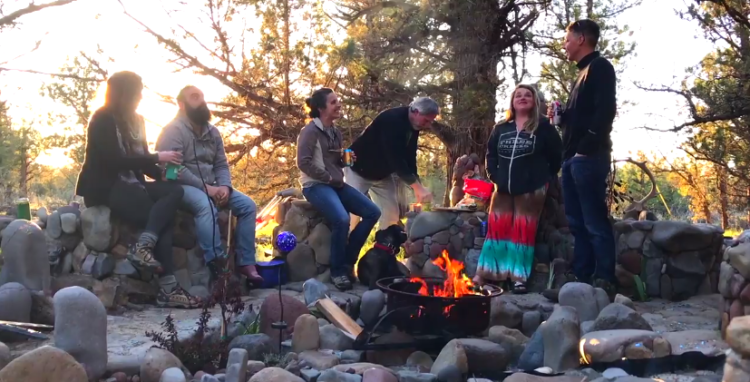 After a quick pow-wow at the campfire with our neighbors, the ingredients were found to finish up a batch of chili and fixings big enough to share with all. 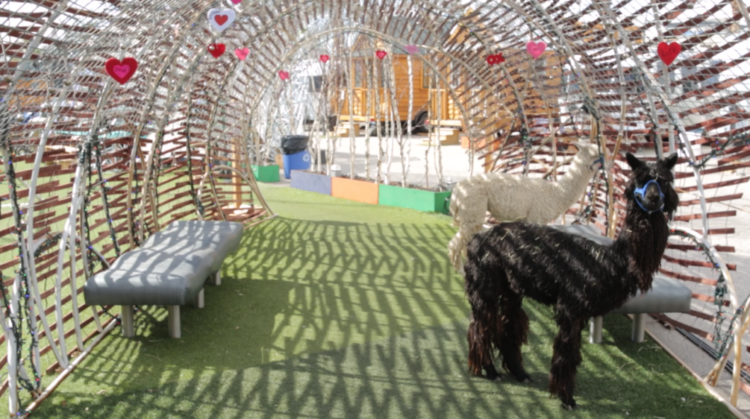 This “Hey, can I borrow a cup of sugar” culture is alive and well among the tiny-house crowd. Tiny community life is intimate. 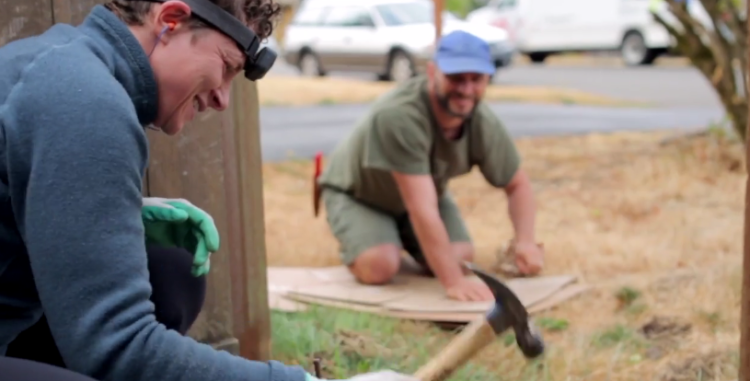 Interactions with your neighbors are not a once-in-awhile wave across the street. They are daily and up close. It might be saying hello as you come out your front door in your pajamas, or a chat as you carry groceries through the community’s pedestrian-only entrance. 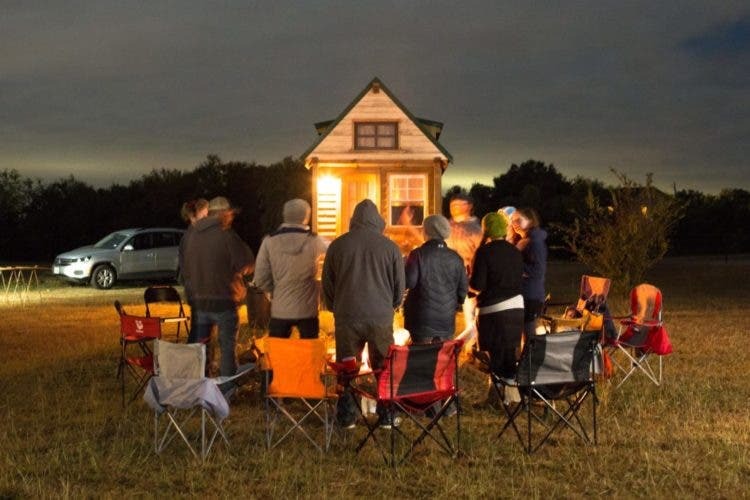 In a tiny house community, you’ve got a built-in support group right there—people who are ready to pick you up when you’ve had a bad day, give you a shoulder to cry on by the fire, or just binge-watch your favorite show on Netflix with you. 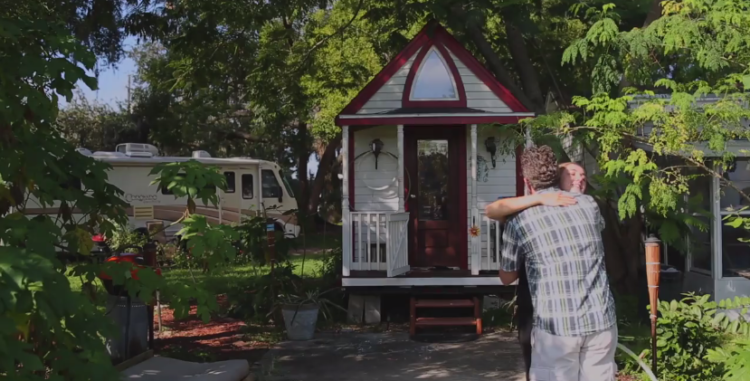 A tiny house is a sanctuary, not an attraction. 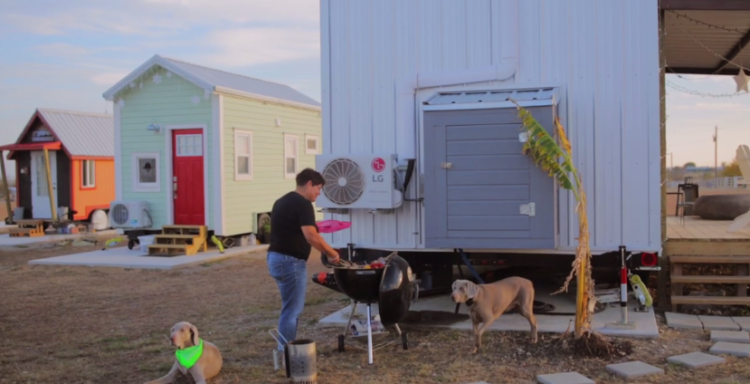 Tiny houses are like puppies—everyone is drawn to them. This means frequent looky-loos—cars passing by very slowly or even stopping so the passengers can approach for a closer look. In a tiny home, unless your curtains are drawn, there’s basically nowhere to hide from unwanted visitors. 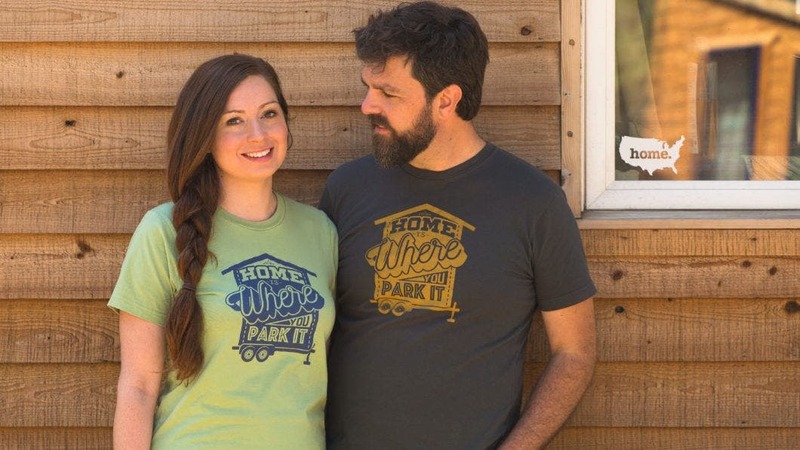 At Orlando Lakefront, a tiny house community in a revitalized 1950s RV park in Orlando, Florida’s College Park neighborhood, one resident told us about the time he was cooking dinner and looked up to see a stranger peering in his window. 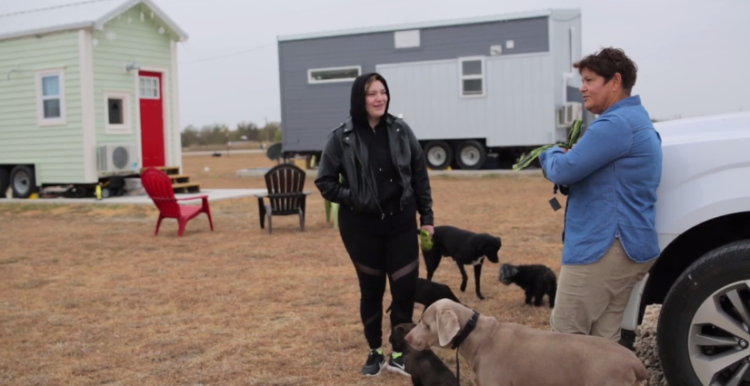 To head off intrusions, the residents decided to host a monthly open house where the curious could check out the tiny homes. 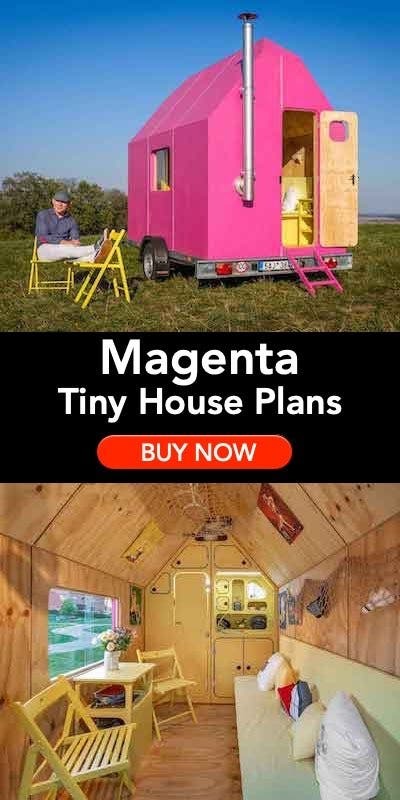 They also amended the pop-by-anytime culture that’s common among tiny-home neighbors and developed a text-before-dropping-by system instead. There’s always room for pets. Your neighbors have your back. 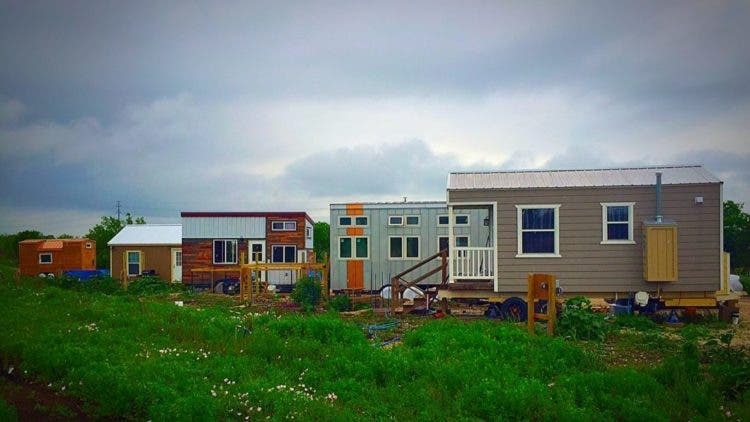 Though people join the tiny house life for lots of different reasons, you’re bound to have a lot in common with your neighbors. 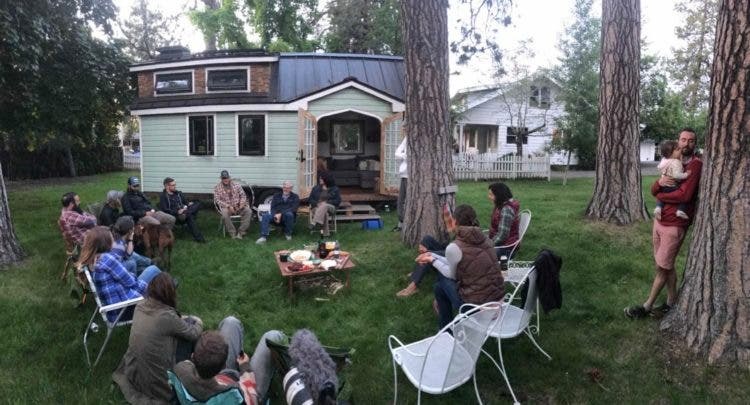 Add in the tiny-home custom of generosity and frequent conversation, and you have a recipe for an unusually tight-knit community. That really shows in the family vibe at many gatherings we’ve been to. At The Commune, an informal community near Sisters, Oregon, artist Rod Frederick and his tiny neighbors worked together to craft a whimsical sculpture garden among the ponderosa pines, with wandering pathways, waterfalls, and an open-air treehouse. Now it’s become a place where neighbors share meals as a family would, a place where we personally had many intimate conversations around the fire during our stay. “There’s always someone to ask how your day was, and if you want to talk about it.” What better definition of family is there? 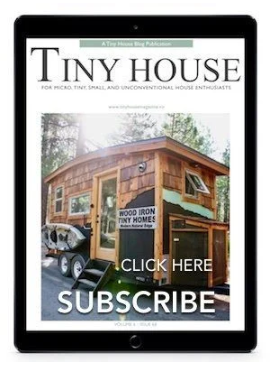 Is tiny house community life right for you? Share your thoughts in the comments! How I long to live near a tiny community. Where I am I hate, I do have friends but to be able to live free. My goal is to get a tiny house and land so I can start a Sanctuary for homeless animals. But so far it has just been a dream. So if you build a few thows does that count as a community? 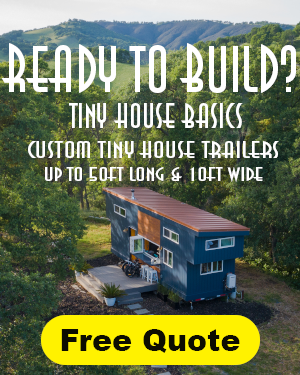 As of right now I have 4, but I just started my # 1 Tiny House on Wheel. It is my biggest so far. It is 7 feet, 9 in wide x 28 feet long. I mean to say it will take over as the main thow. 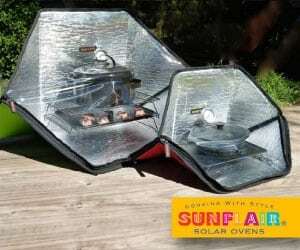 But each of my thow carry tools or fishing gear or solar kits, wind kits, and water kits. 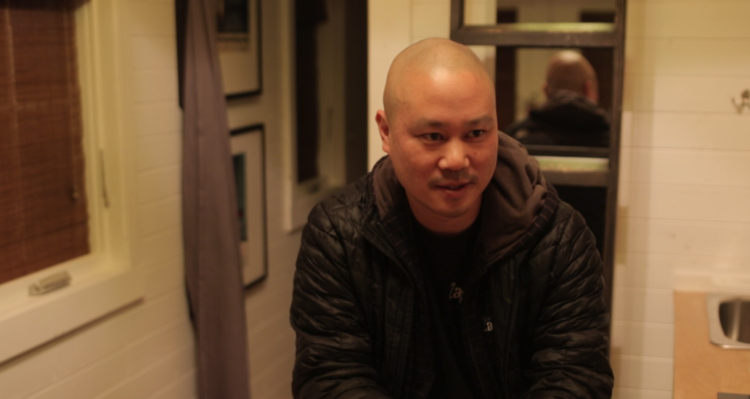 Your idea community should have people that know how to do different jobs. 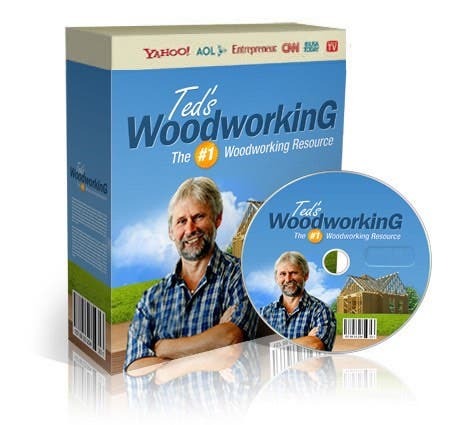 The more jobs I learn the more I can teach others how to do it. It is a good thing to take care of the animals, it teaches you how to deal with problems as they come up. Fix all of your problem first.